Very limited numbers avaliable…THESE WILL SELL LIKE HOTCAKES so grab ’em while theyre toasty!!!! 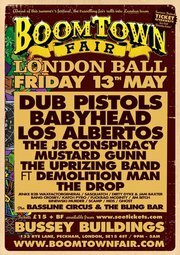 Hot on the heels of our Bristol bank holiday blow-out, the Boomtown travelling show rolls into the capital city at full speed on Friday May 13th for another dose of decadent and debauched indoor festival action. We’re taking over the epic confines of the Bussey Building in Peckham, where you can expect a ripsnorting, rib-rattling, rim-tickling romp through all the fun of the Fair. Skank out to the best in live ska in the Town Centre, wind up your waistline in the Bassline Circus, let the Uprizing Crew move your mind and body with the deepest dub and reggae, and get four to the floor in The Bodyshop. If that wasn’t enough you can expect a high-octane concoction of village games, fancy dress, performance artists, mindblowing decor and the full-pelt Boomtown festival vibes that you’ve come to know and love. You ready? Let’s go! 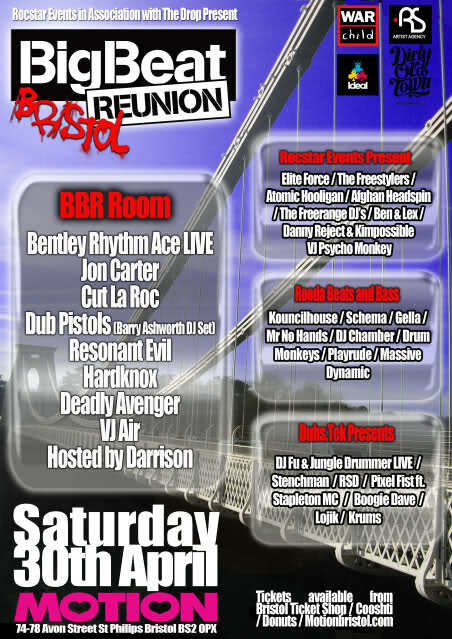 The block-rockin’ Boomtown resident 8-headed monster skanks its way up the M4 to cause a riot inna Boomtown. 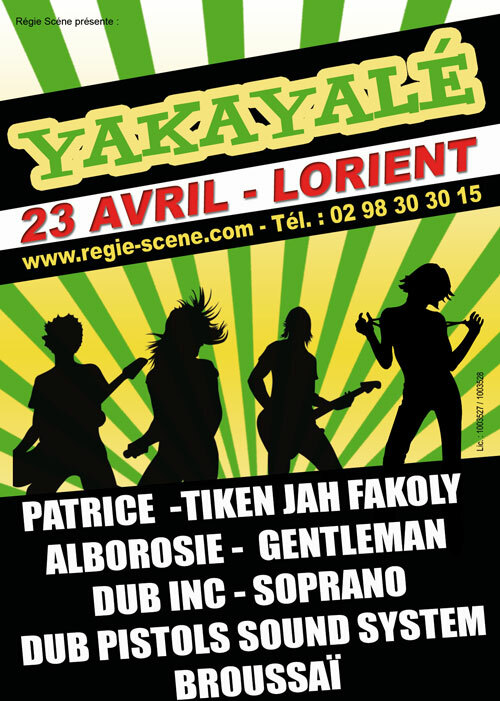 Live Ska, Hip Hop and Dub styles like no other. ‘Mazers! Straight outta Guildford. 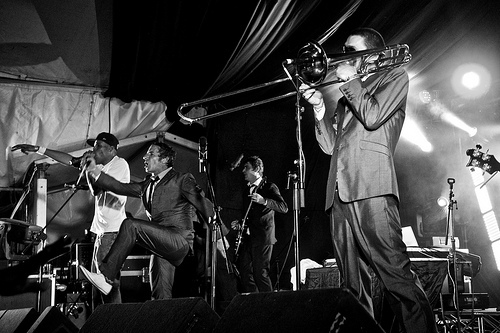 Ska music that’s live, large and definitely in charge. Boomtown you ain’t ready. 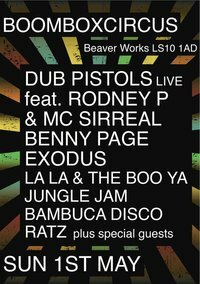 Plus Boomtown resident DJ’s till 5am tearing up the dancefloor with beats, bumps and bedalm….gonna be large mate. Dub Pistols Dj Barry Ashworth “On a Breaks Mission vol 2 free download. 1 hour mix of banging breaks for you to enjoy! 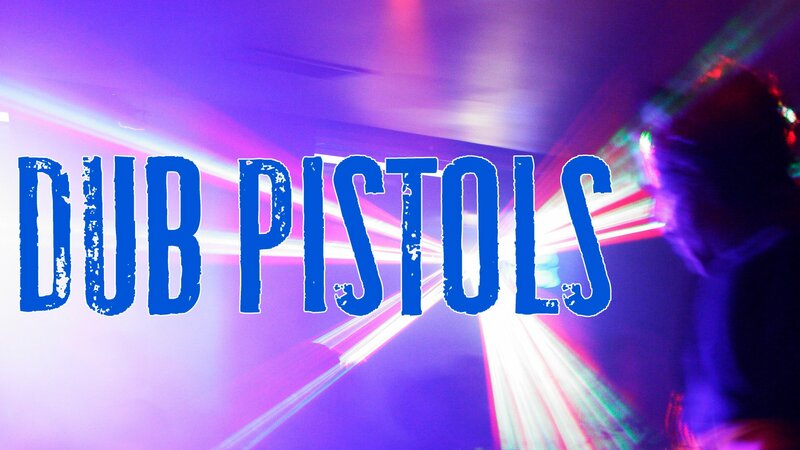 ** DUB PISTOLS (DJ SET) ** – ROUGH TEMPO RADIO – LIVE GUEST SHOW! 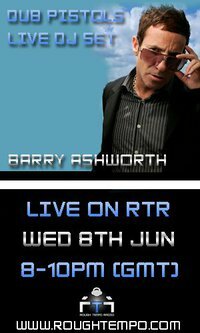 The Dub Pistols frontman Barry Ashworth, Hits the RTR Studio for a special Dub Pistols DJ Set. The Big Beat Reunion Tour is coming to Bristol for the first time and is bringing one of the most substantial line ups to ever hit the city. With 5 areas of music, fairground rides, fire Jugglers and massive prize giveaways this is guaranteed to be one of the biggest nights Bristol has seen in a long time. All the proceeds of this event will be going to the War Child charity. Organisers have confirmed the venue for the2011 Glade Festival. After a year’s break in 2010, the festival will now be hosted at The Mansion House, Old Warden Park, in Biggleswade, Bedfordshire, from June 10 to June 12. “Conveniently situated for festival goers travelling from all directions this location is an ideal site, close to all major routes, and in a beautiful landscaped park,” organisers said. 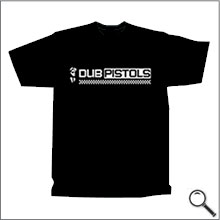 Artists playing over the weekend include Trentemøller, Dub Pistols, Drumcode feat Adam Beyer. Andrew Weatherall, Dreadzone, Krafty Kuts, Hybrid,, Luke Vibert, DJ Donna Summer and others across five main stages and smaller Nanosystems. THE UK’S first pop-up festival has added a slew of extra bands, DJs and musicians to its line-up The Chronicle can exclusively reveal. 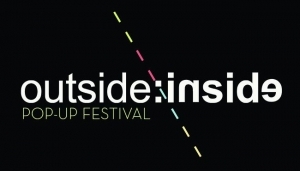 The Outside:Inside festival, supported by The Chronicle, will feature a month of performances when musicians, poets, artists and theatre groups take over venues around Reading town centre in July, turning disused spaces, shops, bars and restaurants into artistic havens. The ecletic festival, run by promoter and The Guide columnist Jack Hepplewhite and supported by Reading CIC, is back for its fourth year. New additions to the line-up – which already boasts Lee Scratch Perry and The Fall – are renowned beatboxer Beardyman, dub band Dub Pistols, American rock band Hayseed Dixie, drum and bass legend Andy C and independent alt-folk band Tom Williams and the Boat. Among the many local acts set to play during the festival’s run from July 9-30 are alternative teenage band Peers, experiental rhythm-driven group Amys Ghost, singer-songwriter Ben Marwood and electro duo Midimidis. In addition to the music, there will be comedy from Experimental Rabbit Foot Comedy Club, poetry by Poejazzi and art from Jelly Open Art Zone. A third wave of performer annoucements is expected at the festival’s free public launch party at the Oakford Social Club on Friday, April 29, featuring Kid Carpet, Benin City and Dan Le Sac.